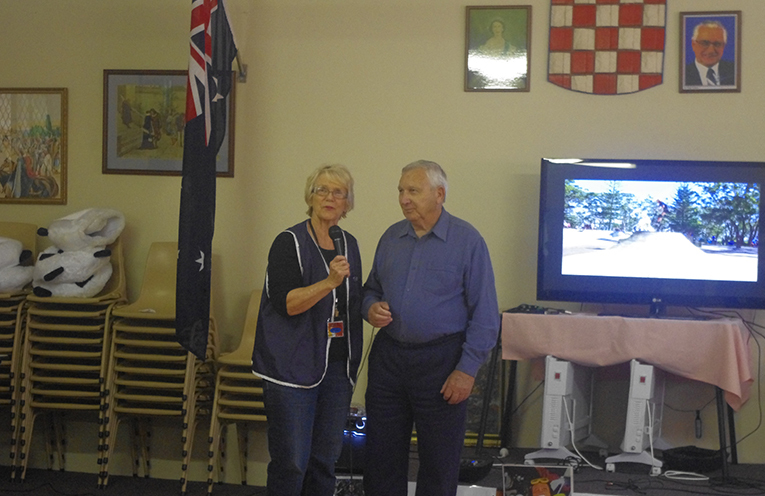 TYCA supporter Sally Dover with Nelson Bay Croatian Fisherman’s Sports Club President Peter Skoljarev. Photo by Marian Sampson. TYCA (Tomaree Youth Community Action) has a new home for their youth programs. 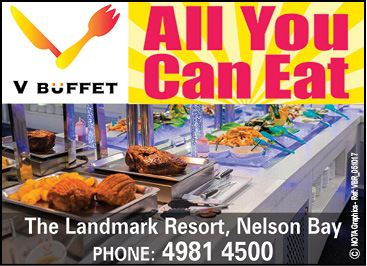 The Nelson Bay Croatian Fisherman’s Sports Club is situated in the Tomaree Sports Complex and is also the Bocce Club. In a new collaboration between the members of the Bocce Club and TYCA, youth will be able to use the grounds and clubhouse for a range of activities. The community gathered to support youth empowerment programs at the open day and to celebrate the collaboration. The new venue for TYCA was celebrated at an open day where supporters were acknowledged for their commitment to providing positive programs for youth in the area. Deputy Mayor Sarah Smith told News Of The Area, “Port Stephens Council is very happy to be able to support TYCA and help them to continue all the awesome things they do. “This is a great community collaboration with the Nelson Bay Croatian Fisherman’s Sports Club,” she said. At the open day, TYCA members participated in creating a graffiti art mural with artist Nick Stuart whose work is on the Vinnies Building at Anna Bay and the collaborated mural created with Rhys Fabris, on Rosie’s Café also at Anna Bay. TYCA members also performed drumming on buckets. A wide range of community groups were represented on the day including the Rotary Club of Salamander Bay, Real Futures Foundation, CDAT, and the Port Stephens Suicide Prevention Network. TYCA also acknowledged past Councillor Sally Dovers commitment to TYCA and our local youth and thanked Peter Skoljarev of the Bocce Club for sharing the facility with TYCA. Council also engaged with youth around their desires for the new skate park at Robinson Reserve at Anna Bay.